Like anything in life, it takes practice to be great at something and this includes being a strong speaker. 1. Avoid using phrases that convey to the audience that the information you are telling them is coming from you. You do this when you use “just” phrases, for example, “I just thought”, “I just want to say”, etc. 3. Avoid diminishing the value of what you are saying. Don’t use phrases like “It just occurred to me…”, “I’m not sure but…” and the likes. We all have to sell something at some point in our life. We don’t have to be sales people to do this. Even as presenters and speakers, we have to be able to sell the ideas we are trying to convey to our audience. So how can we be persuasive? 1. They Are Purposeful You don’t have to win every battle. By arguing and advocating less often, and doing so when you really have to and with power, that’s the time they become more persuasive. 2. They Listen … and Listen … Then Listen Some More By listening more to the people they are trying to persuade, they will understand better where they are coming from and from there be able to attack the situation in a more subtle yet persuasive manner. 3. They Create a Connection Because they have an emotional stake to the people they are convincing and because there is common ground and shared objectives, they are easily able to persuade the people concerned. When introducing a speaker, it is important to answer four important questions that will let you create a pleasant harmony between the subject, the audience, the occasion, and the speaker. What are these questions that you should take note of when introducing a speaker? Why this subject before this audience? Why this subject before this audience at this time? Why this subject before this audience at this time by this speaker? Of course, you shouldn’t say these questions out loud then answer each. You just need to effortlessly let the answers to these questions flow as you make the introduction. Plan your story starting with the takeaway message. Think of your audience and what’s important to them. After all, the objective of your story is to help your audience. Keep your stories short for the workplace. People tend to have ADD in today’s world so make sure your story only lasts 3-5 minutes lest you want to sound boring. Good stories are about challenge or conflict. They make your stories more interesting. Think about your story like a movie. The goal is to always get your message across. Start with a person and his challenge, and intensify human interest by adding descriptions of time, place, and people with their emotions. The point is, be descriptive. Be creative. By doing so, you string people along with the ups and downs of your story. Intensify the story with vivid language and intonation. This way, you get to touch people’s emotions. When using a story in a PowerPoint presentation, use appropriate graphics/pictures to convey your message. ‘Nuff said. Practice. Tell your story in front of a friendly audience and get feedback. Realize that stories are how people really communicate. Accept this fact and being an effective storyteller gets much easier. Notice emotions – Open yourself up so you can experience your audience’s emotions. Be more aware. Examine – Notice their body language. Are they sleepy? Uh-oh! You are not exciting enough. Are they leaning forward? Good! Ask – Ask them questions to keep them engaged or ask them to do some physical activities to keep them alert. Request feedback -Always have a Q&A portion at the end of your presentation so you’ll know if they were able to digest your speech or presentation. To know more on how you can determine your audience’s reactions and be able to adapt on the spot during your presentation, please visit this link: HOW DO YOU ADAPT YOUR PRESENTATION ON-THE-SPOT? Why do you need to practice as a speaker? We all know that practice makes perfect. But here are 7 reasons to give you a better and clearer understanding of why it is crucial and essential for speakers to practice, practice and keep practicing. Look like you didn’t need practice – Yup, the more you practice your presentation or speech, the more flawless and relaxed you’ll look on stage. And when you look very natural on stage, the more your audience will focus on what you have to say than how you act or sound like in front of them. 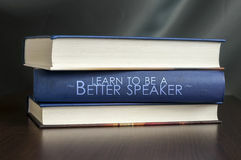 Remember more of what you wanted to say – By practicing your speech, the less likely your mind will go blank on stage. Roll with the punches – Experiencing technical difficulties won’t be much of a problem if you know your speech by heart. Work out your stumbles ahead of time – If there are phrases, sentences or sentiments that you are not confident in sharing to your audience, you will get better at it in time or you can change it in advance and avoid acting awkward about it in front of your audience. Try a new speaking skill with lower risk – If you’re going to talk about a topic that is entirely new to you, with practice, you will minimize mistakes and even sound like you’re already an expert at it. Build a stronger structure for your speech or presentation – By practicing your speech, you have more time to plan a more engaging speech from start to finish. Hit those grace notes – Through practice, you can take your speech from good to great.